size matters exhibition we like art! 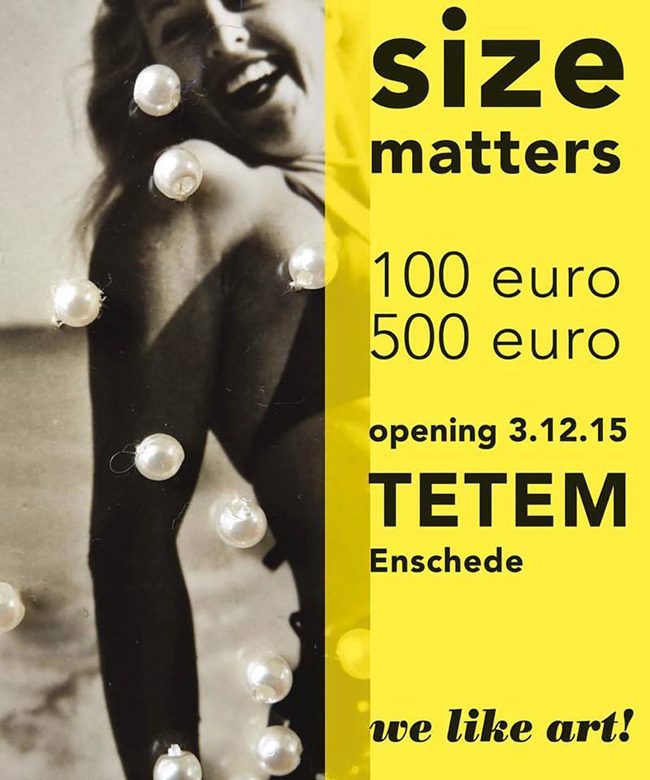 With a few new (and unique) works I’m taking part in the exhibition SIZE MATTERS by We Like Art! in TETEM, Enschede. Opening 3rd of December 5.00 PM. The exhibition is on till the 6th of February 2016.